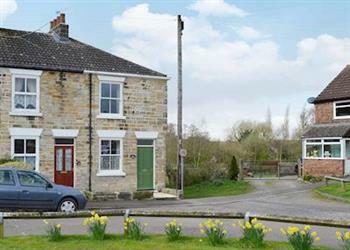 Beck Cottage in Thirsk sleeps 4 people. Beck Cottage in Thirsk looks out over the green and is adjacent to the footpath leading to the river; this cosy cottage is situated in an ideal location for enjoying the delightful market town of Thirsk. 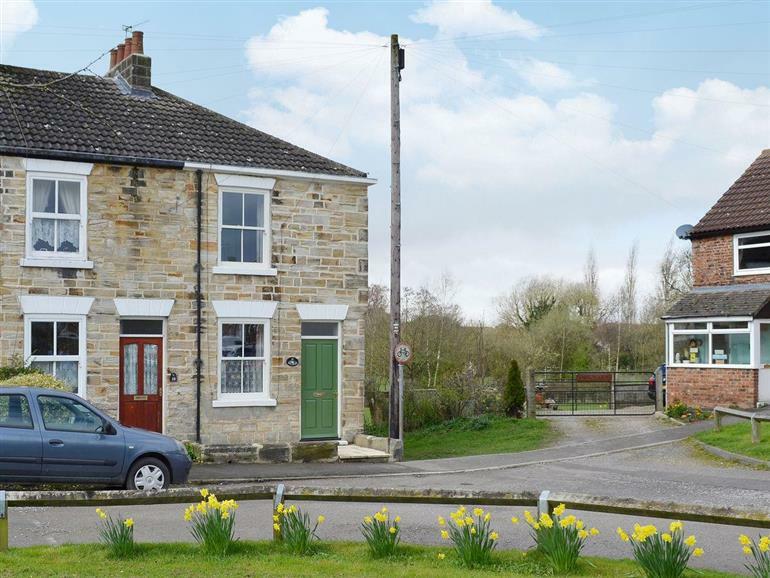 Guests are assured a comfortable holiday in this carefully presented end-terraced cottage. A short walk leads to the cobbled market square, surrounded by quaint tea rooms, independent shops, and home to a twice weekly market. James Herriot, local vet and author, was born here and his house and surgery have been converted into an award-winning museum where visitors can learn of the life he wrote about in ‘All Creatures Great and Small’. Thirsk is superbly positioned midway between the North Yorkshire Moors and the beautiful Yorkshire Dales, where days out can be spent exploring the numerous walking and cycling trails, the picturesque villages and the welcoming country inns serving local ales and hearty meals. The medieval city of York and the elegant spa town of Harrogate are within a 40 minute drive, and the coastal resorts of Scarborough, Whitby and Filey are easily accessible. Visit historic houses at Beningbrough and Castle Howard, and explore the monastery ruins at Fountains Abbey and Rievaulx. Family fun can be found at Lightwater Valley, Flamingo Land and Brimham Rocks. There is horse racing throughout the summer in Thirsk, York and Ripon. The shop is 200 yards, with the pub and restaurant 150 yards from Beck Cottage in Thirsk. Beck Cottage has 2 steps to entrance. Ground floor: Living/dining room. Kitchen. Bathroom with shower over bath and toilet. Steep stairs to first floor: 2 bedrooms: 1 double, 1 twin. Electric wood-burner in living room included. Gas central heating, electricity, bed linen and towels included. Freeview TV. DVD. Electric cooker. Microwave. Washing machine. Dishwasher. Fridge. Wi-Fi. Small enclosed lawned garden with sitting-out area and furniture. Parking (1 car). No smoking. No children under 5, except babies in arms. Holidays at Beck Cottage run from Friday to Friday. Do you want to holiday near Beck Cottage (UKC267), you can see other cottages within 25 miles of Beck Cottage; have a look to find your perfect holiday location.